Well, its that time of the year. Are you thinking Halloween or Thanksgiving? Um… I meant November, the National Vegan Month. And that means, its time for yet another Vegan Ventures. For all those who claimed that vegan foods are dull, we showed how varied they can be. This year, I once again invite you all to bring out the best vegan dishes you already know, or have been wanting to give a try, and showcase your talents, by participating in Vegan Ventures, Round 2. The guidelines are pretty much the same as last year. But let me list ‘em all for easy reference. Vegan sweeteners (maple syrup, agave nectar, sucanat, brown rice syrup, molasses, Stevia, etc). As before, I am going to allow sugar for its easy availability. 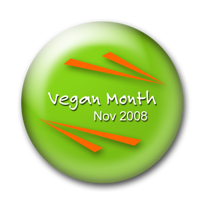 Prepare a vegan recipe (keeping the do’s and don’ts in mind) and post about it in your blog between 1st and 30th of Nov ’08. All courses and cuisines are welcome. Do you want to share ideas on vegan living? Have you tried a new vegan substitute recently? Post the article in your blog during this month. Please provide a link to this announcement in your post. 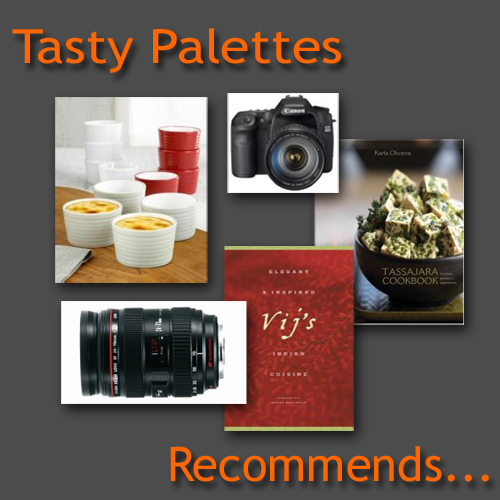 Send your entries to tastypalettes@gmail.com, with “Vegan Ventures, Round 2” in the subject line, on or before 30th of Nov. Please include the following details in your email. If you don’t have a blog, you can still participate by emailing me the recipe, along with the other details mentioned above. Posts from your archives are acceptable if they are posted again with a link back to this announcement. So get cooking and send me those inspiring entries. Looking forward to them! Will try to send in something. It has been a year already? Time does fly when we are having fun. Hope u got my mail with an entry! wow. I can't believe it has been an yr already. Feels like yest that I sent my entry for VV 1 :)) count me in suganya! I have sent u my entry. wow..you seem to be in full swing suganya..how have you been...haven't seen you around for a while..! I sent you my entry. First time to participate in the Vegan Venture and pretty excited about it! Hope I am following the rules.